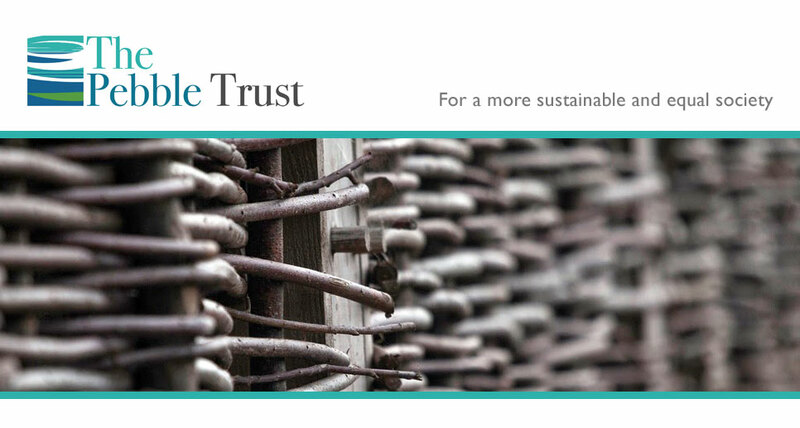 The Pebble Trust, a Scottish charity established in 2014, has a vision of a more sustainable, equal and low-carbon society, where constraints on fossil fuels lead to a more localised economy with stronger, more resilient, communities, and where human activities take account of climate change and the wider environment. The Trust supports projects in the Highlands and Islands of Scotland as defined by the Highlands and Island Enterprise area. Exceptional projects outwith the Highlands and Islands, or projects that have an impact across the whole of Scotland may also be considered. A good example is our Sustainable Renovation Guide to best practice in carrying out energy-efficiency improvements to homes. During 2018/19, the Trustees have maintained their policy of limiting applications to £5,000. If you would like to make an application, go to the applications page. The Pebble Trust Trustees have a range of expertise to support people wishing to play their part in building a more sustainable and equal society. This includes rural development, renewable energy, ecological building, community development, corporate governance and business formation/ management. The Trust was established by Trustees Penny Edwards and Martin Sherring. Conscious that in the western world we are living unsustainable lifestiles where we are consuming faster than the environment can accommodate, they decided to establish the Pebble Trust to support individuals and organisations trying to address the issue. The Pebble Trust would be pleased to hear from others who may wish to also contribute to the Pebble Trust.